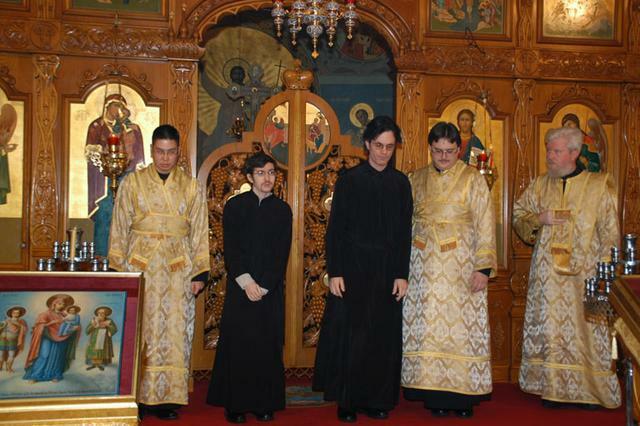 On Sunday, 4 December, 2005, Bishop Tikhon, Seminary Rector, tonsured two seminarians as Readers. 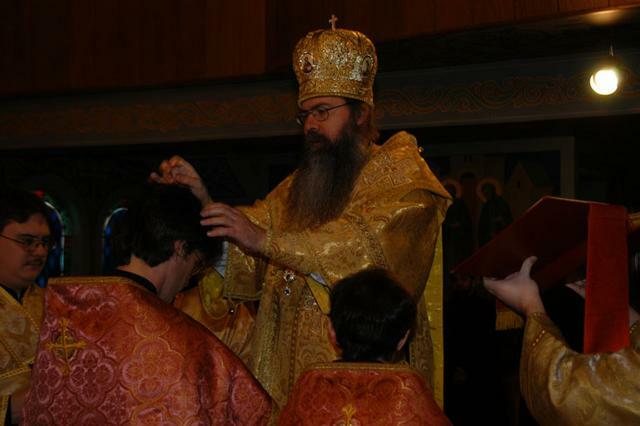 Paul Scott of Wilmington, DE, and John Barnes of Miami, FL, were installed, prior to the Hierarchal Divine Liturgy, by His Grace into the first of the two "minor" Holy Orders. 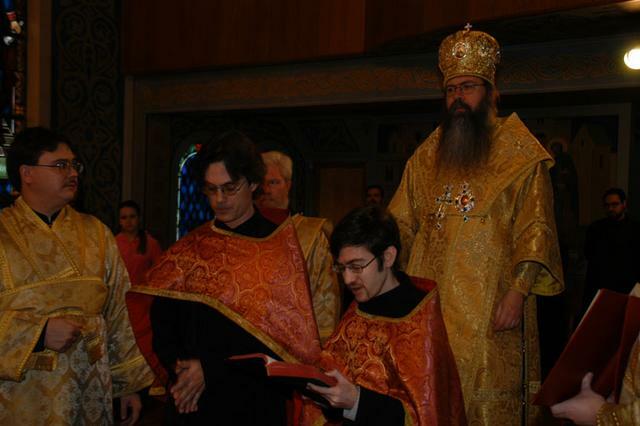 This event was Reader Paul and Reader John's initiation into the ranks of Orthodox Clergy, a "first step" to becoming a priest in the Orthodox Church. May God grant them many, many years! Axios! Axios! Axios! 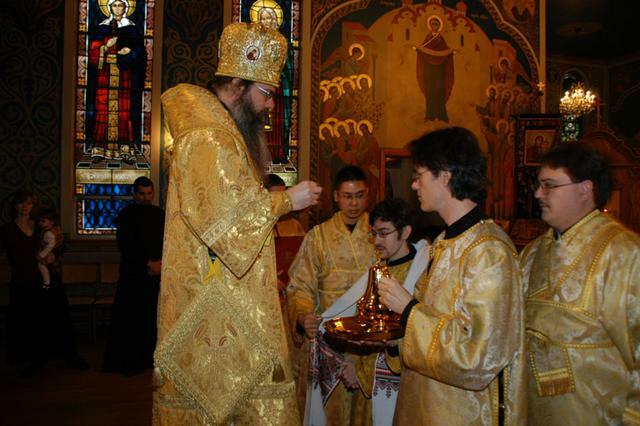 The candidates are led to the Bishop by the Subdeacons. His Grace tonsures (cuts hair in the form of a cross) the candidates. 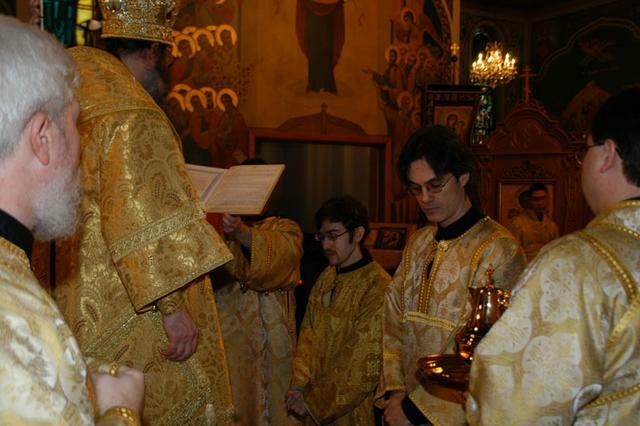 The newly-tonsured readers are vested in the small phelonion. The candidates read from the Apostol. The new readers are vested in the Stikharion. 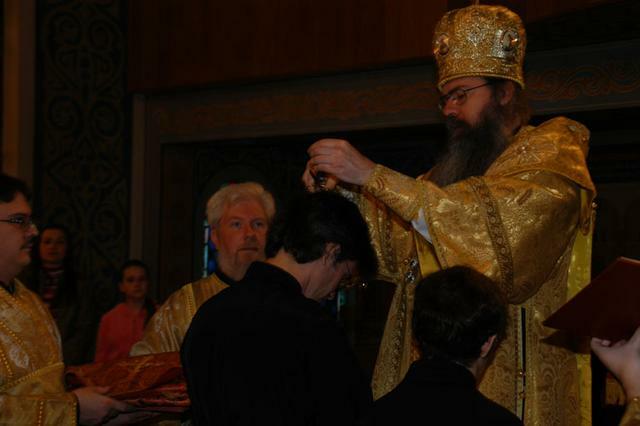 The new readers wash the hands of the bishop. 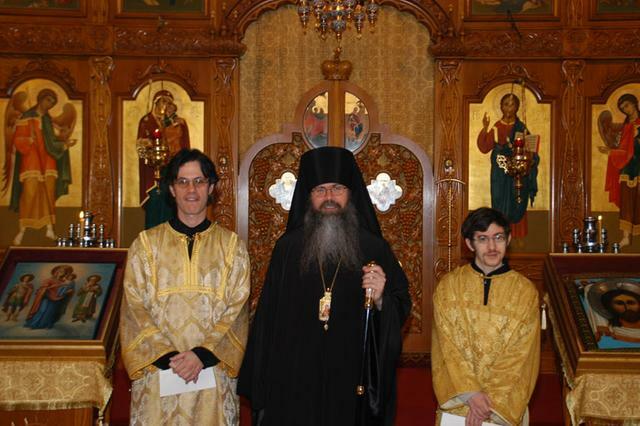 Readers John and Paul with Bishop Tikhon.